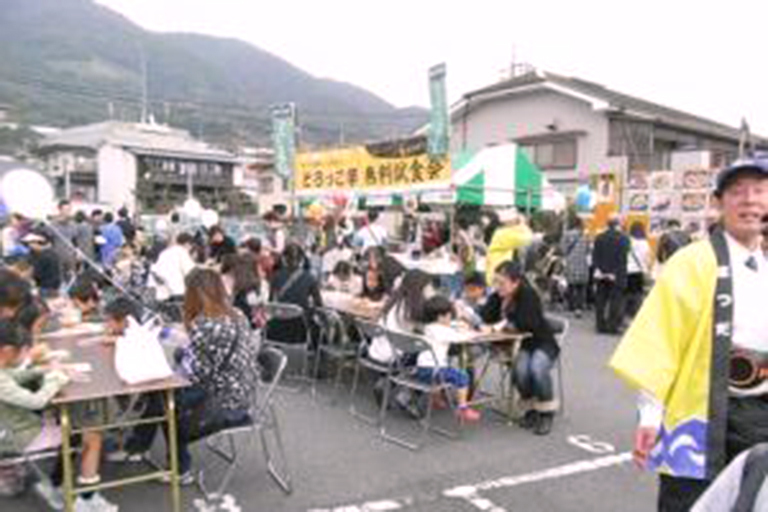 An autumn festival introducing the town’s local produce. 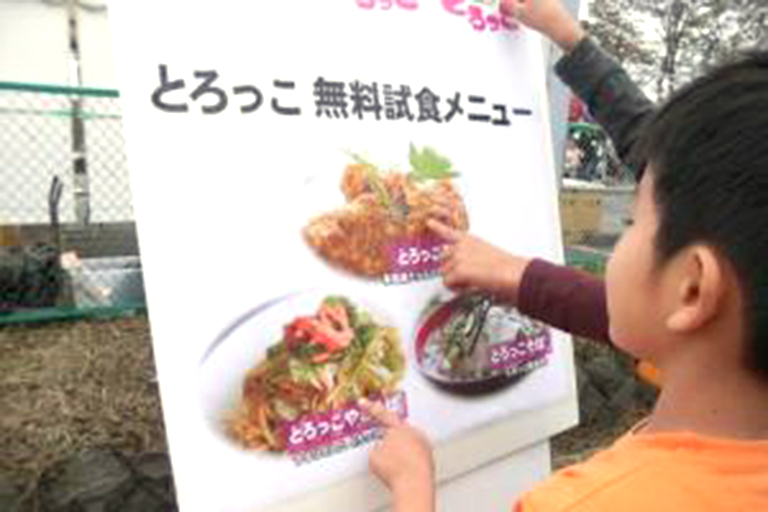 Local farm products and manufactured goods are sold, as well as famous products from collaborating towns. 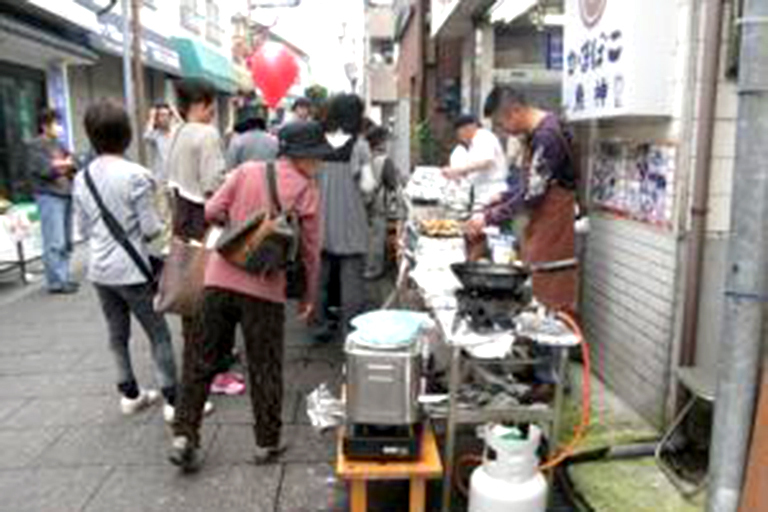 Sister town Yokoshibahikari’s leeks are exceptionally popular. 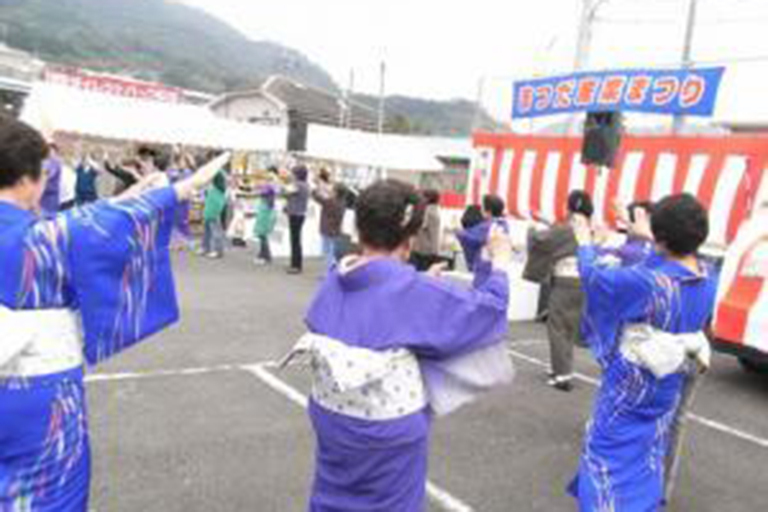 There are also many stage events to be enjoyed such as dance shows and bingo. 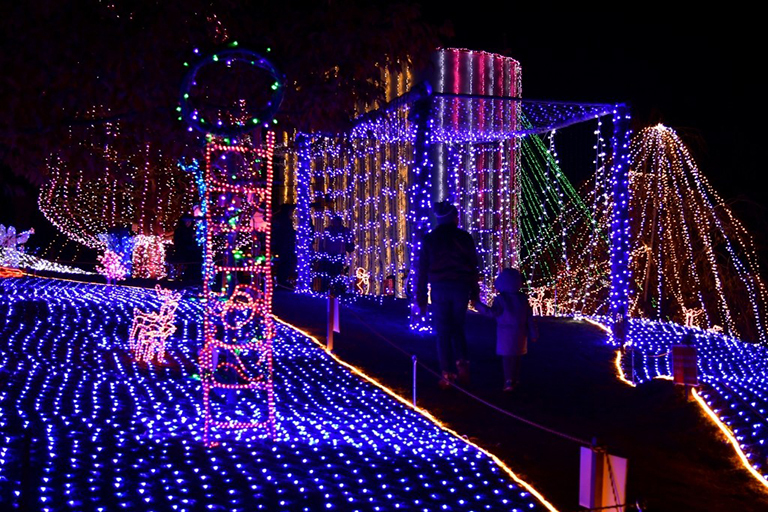 This park, boasting one of the very best night view spots in Kanto, will be decorated by an illumination of over 180,000 LEDs. 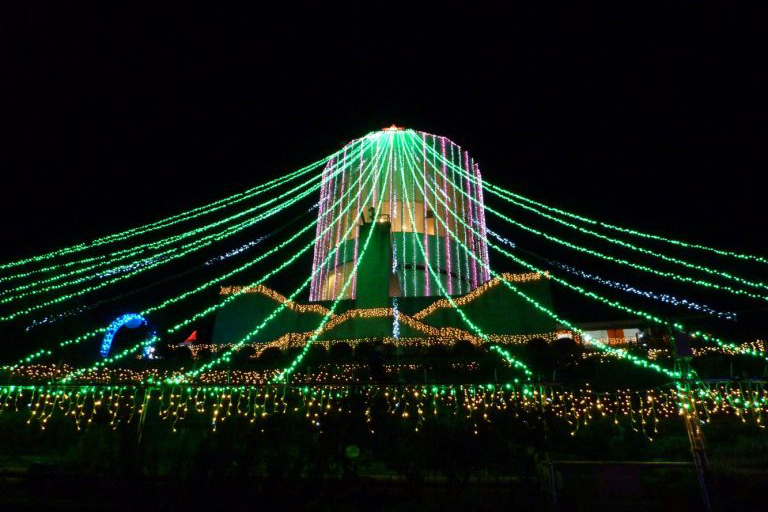 Looking up at Mt. 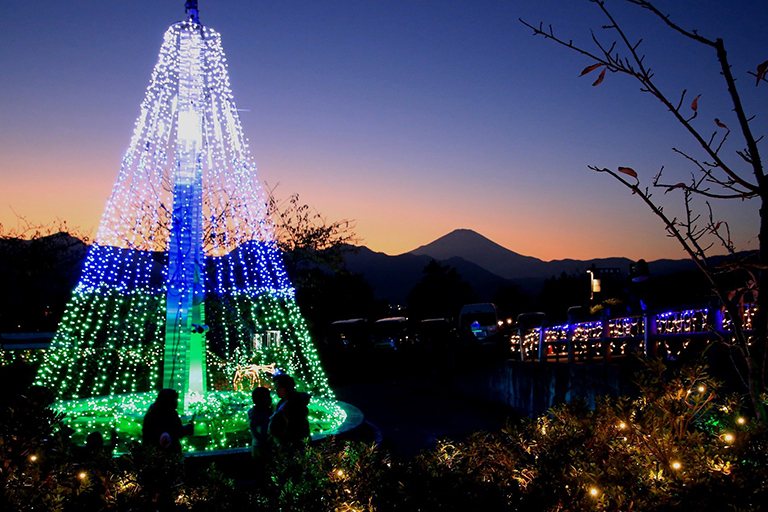 Matsuda from Matsuda Town at night, the Herb Building appears like an enormous Christmas tree. 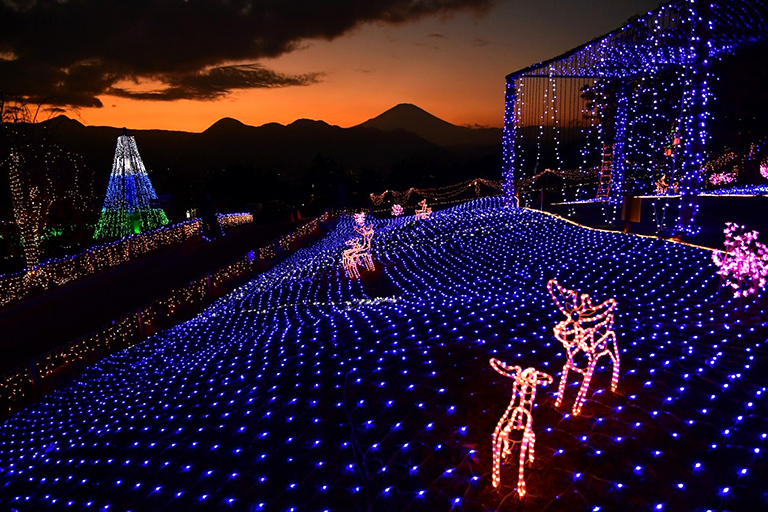 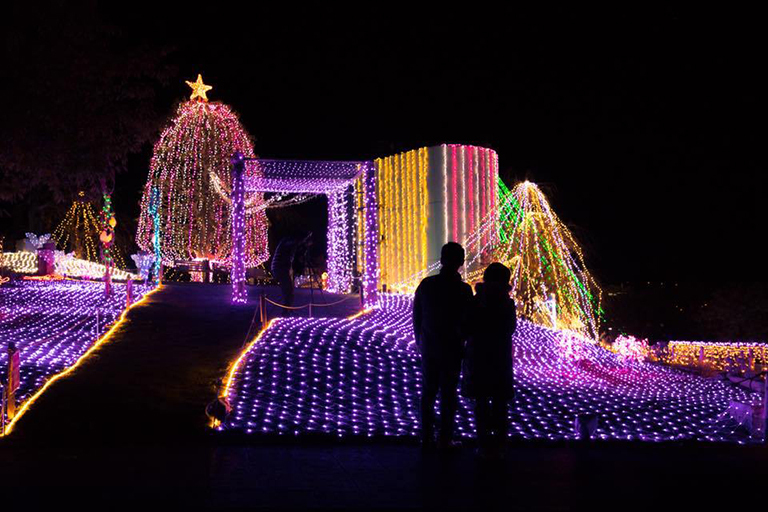 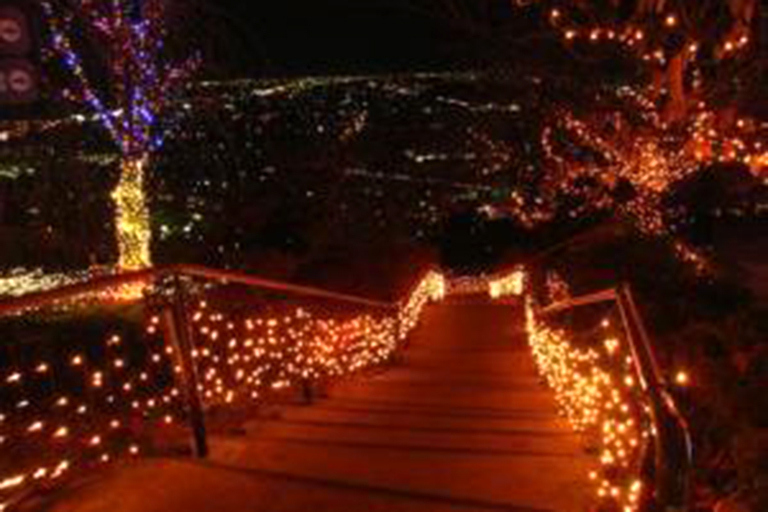 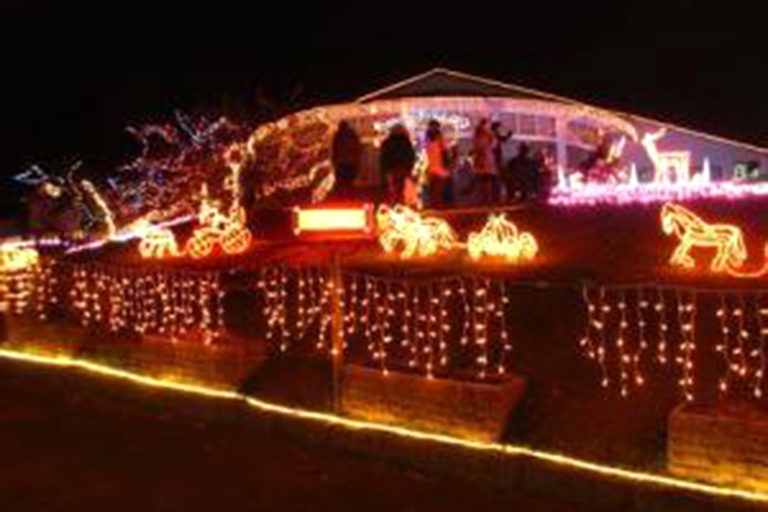 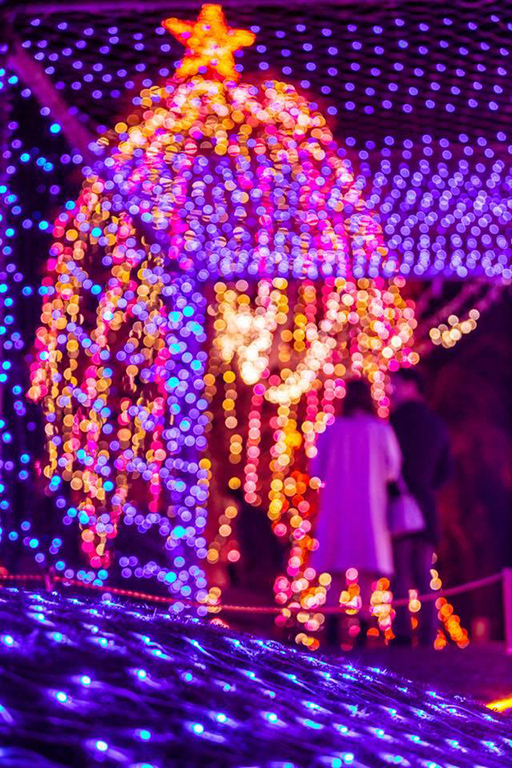 The road to the festival site, Nishihirabatake park, is also decorated with countless lights. 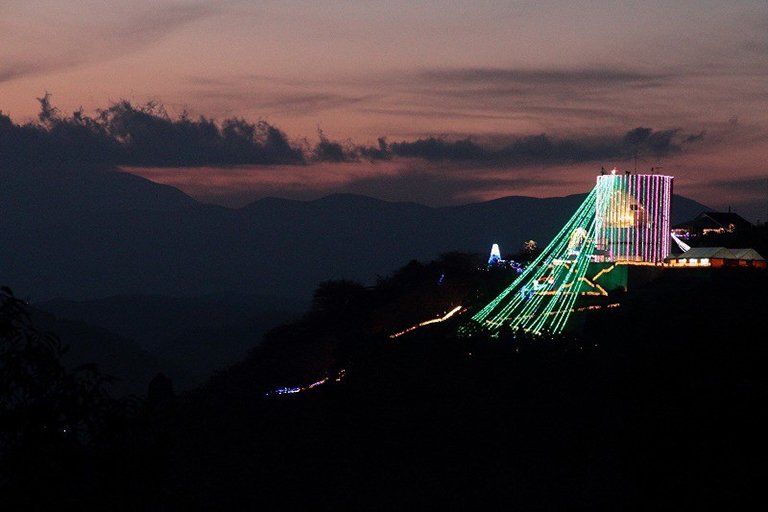 From above, the illumination blends together with the night view of Ashigara Plains, spreading out to create a beautiful view and mystical atmosphere.